Behind-the-scenes pictures of actor Park Bo-gum posing in a recent fashion shoot have been released by the brand he was posing for. 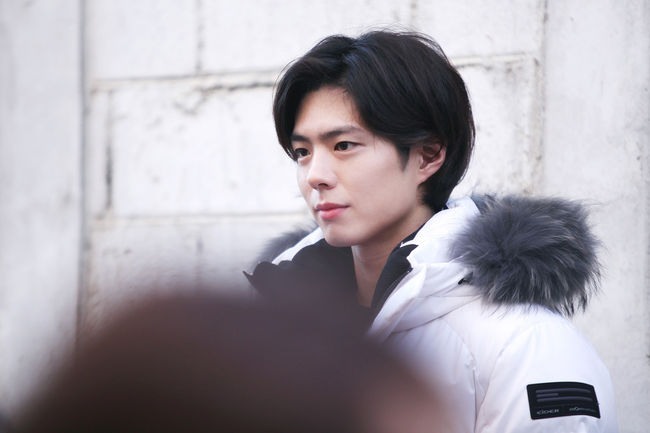 The actor wore white and black padded jackets of the kind that became all the rage among Koreans last winter. While opting for a nearly all-black look, Park wore gray shoes to break up the monotony. Known for his lead role in the 2016 hit drama “Love in the Moonlight,” Park will star in the new TV series “Boyfriend” that is set to begin in November.